In horoscope, fire or air element has more amounts out of five elements. Therefore, Moon, Venus or Jupiter becomes weak. 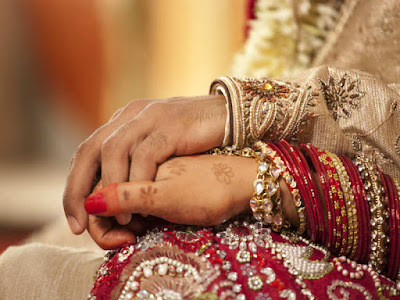 Due to Mangal dosha or graham yoga or inauspicious planets in eighth or twelfth house or weak seventh house creates problem in getting married. In the month of savan, water element is strong. It is the main factor of family life. Mangal dosha, graham yoga or delay marriage can be avoided in the month of savan. Lord Shiva is the main god in savan month. One can change the luck by worshiping. One can get early marriage and avoid problem from marital life by worshiping lord Shiva and Parvati. Wear yellow clothes in savan month daily. Offer one garland to Shiva-Parvati. Worship lord Shiva-Parvati in evening. Chant “Om Gauri Sankaraya Namah” for 108 times. Do this remedy for continuous nine days of savan. Between 18 and 24: Worship god wearing yellow color clothes. Offer fragrance on Shivaling. Then, offer water. Chant “Om Parvatipataye Namah” for 108 times. This fulfills your desire. Do his remedy for continuous nine days of savan. Above 30: Take 108 belpatra. Write Ram with sandalwood on belpatra. Offer every belpatra on Shivaling. Chant “Om Namah Shivay” while offering belpatra. Do this remedy on every Monday of savan. One easily gets married. Good Luck: Use less milk in the month of savan. This creates gout problem.